After occupying Pandols Range on November 2, the Nationalists fighting in the battle of the Ebro finally reach the water’s edge itself. With the Republicans either slaughtered or captured, and the International Brigades withdrawn at the Prime Minister’s command, nothing is stopping the Nationalists crossing into Catalonia. The town of Cabra, 70 kilometres southeast of Córdoba, is bombed from the air by the Republicans. Between three bombers, some six tonnes of bombs are dropped in a surprise morning attack. The bombs are dropped on the market and working class areas, with one bomb weighing 200 kilograms landing right in the morning marketplace. The Republicans catch the Nationalists off-guard, who don’t have time to react. The plan is to hit the Italian troops stationed in Cabra, and the pilots think they see military tents, but instead hit the market awnings. Around 109 civilians are killed with another 200 injured in a scathing mistake. The Nationalists have crossed the Ebro river to take the small town of Móra la Nova, on the east side of the river in Catalonia province. They also have Mount Picossa, the final main strategic point in the Battle of the Ebro. The Republicans have no way to stop the Nationalists now. The remaining Nationalist forces cross the Ebro at Flix and the battle is over. 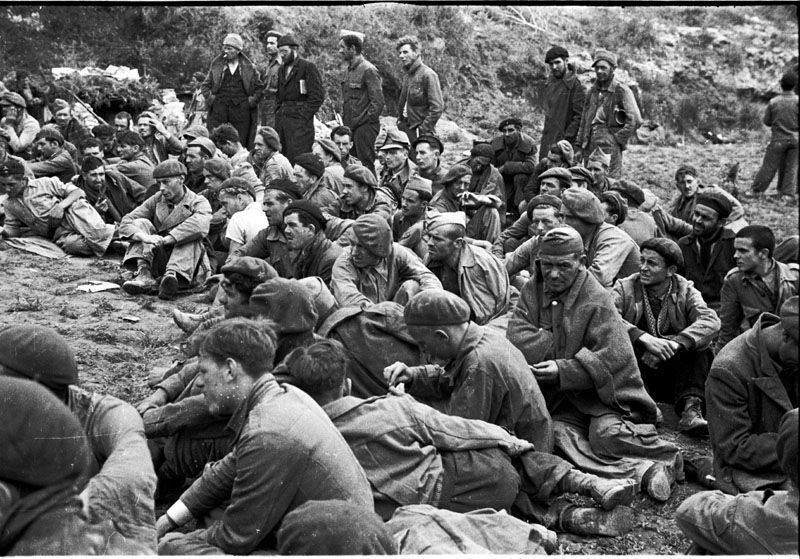 The Republican army is now destroyed, losing most of its men and all of its equipment, and the Republican airforce has nothing left to fight Franco’s rebels, losing 150 planes in the fight. Both sides have suffered massive losses over the four-month battle. The estimate of deaths ranges between 50,000 to 100,000 people, with another 20,000 to 30,000 captured. The Nationalists have sacrificed many of their finest officers, while the Republicans lost their experienced men and all their weapons. Even the Nationalists need to repair all of what they had left. Franco signs a new deal with Germany, who send in new weapons in return for mining contracts, so the Nationalists can regroup and launch an attack on Catalonia. The Republicans have long used an approach of constantly attacking Nationalist positions, rather than planning solid defense, meaning Catalonia and its capital Barcelona have no safety, and the propaganda gained from constant attacks now has no use. The one positive note of the Ebro battles is that since the Nationalists had to turn around troops and weapons to the mountains, saving Valencia from being captured. The Republicans now have no solid army, and the Nationalists are regrouping for a December attack on Catalonia. They need to bring 340,000 men together to cover the front-line from the Pyrenees to the Mediterranean, along the Catalonia border. The Republicans need to bring together 200,000 men to defend the region, though with no weapons, the men will be unarmed. The Soviets agree to send what artillery they can, though the battle is looking to be another slaughter by the Nationalists.